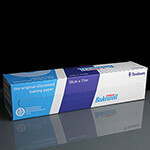 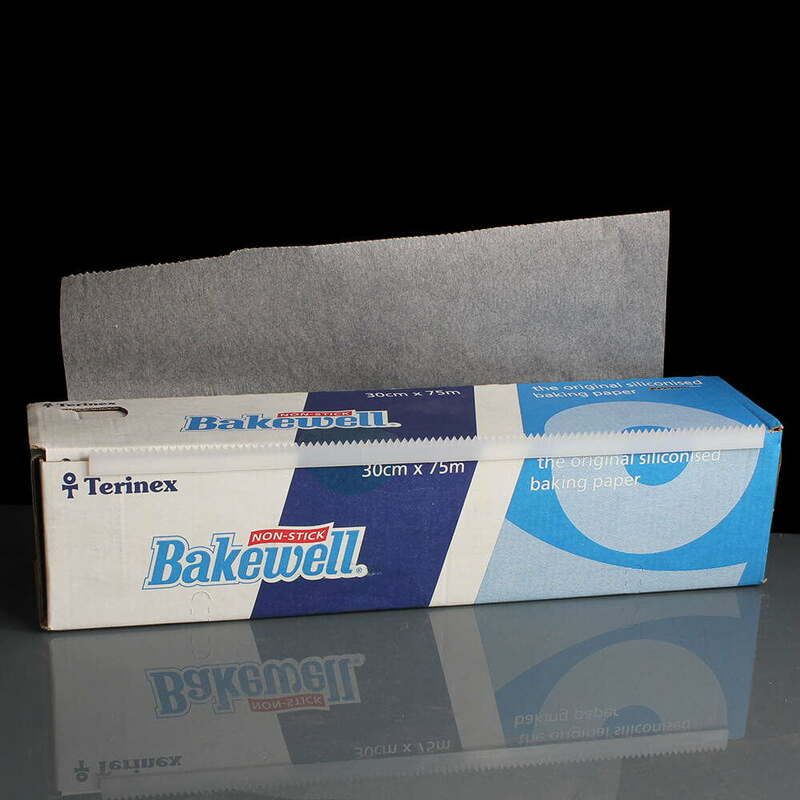 Bakewell non-stick siliconised baking paper or parchment in a wipe clean dispenser box with cutter, 30cm x 75m. Useful for every kind of baking including biscuits, fruit cakes and swiss rolls, both in conventional and microwave ovens up to a temperature of 230 °C. 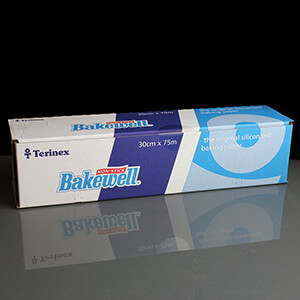 The Bakewell brand is the registered trademark for Terinex Siliconised Baking Paper and the product is manufactured in the UK. 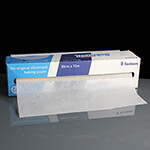 The integrated plastic cutter makes it easy to tear off and use the baking paper around the kitchen. 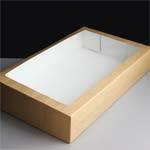 To use the cutter you take it from inside the box and slide it on the front edge of the box with the sharp teeth towards the front. 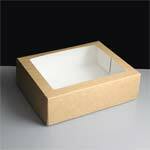 Reclose the lid with the front flap tucked behind the cutting blade. 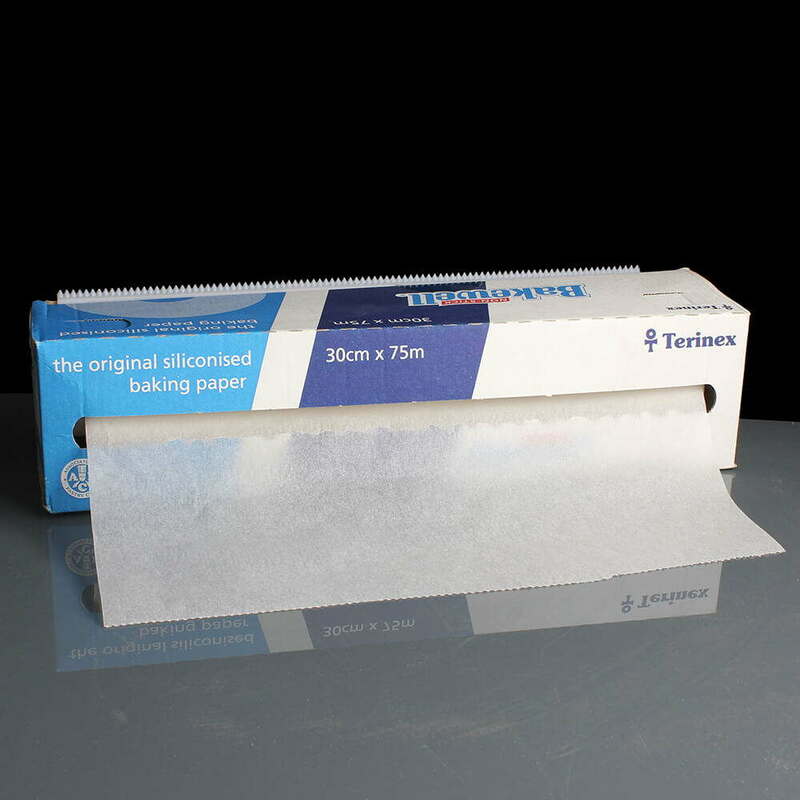 Make a hole in the box from the serrated cuttings and pull the paper out to the required length and cut on the blade with a downwards and sideways motion. As it is paper, please make sure that it is kept away from naked flames, including away from the oven gas flame! 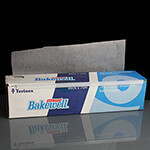 Feedback for Bakewell Silicone Non-Stick Baking Paper - 30cm x 75m - Required: 1 Roll has been compiled from 1 reviews. 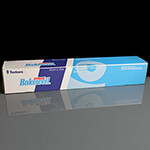 Staple product which I am never without !